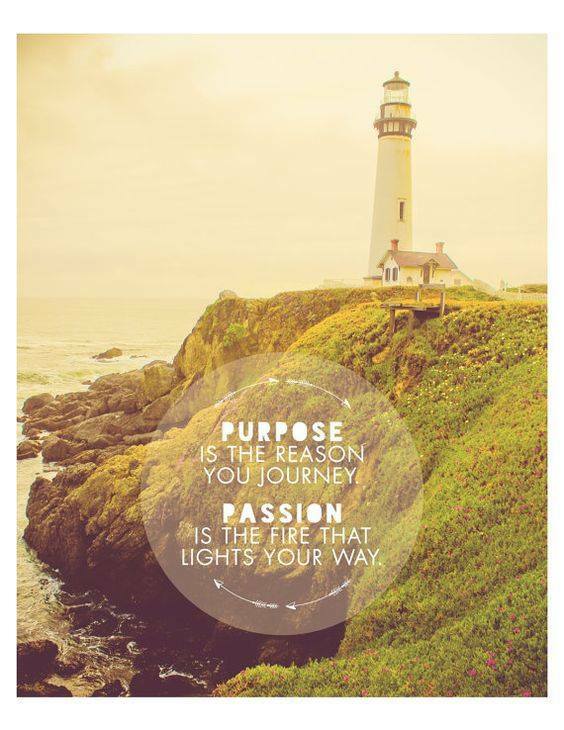 I have learned a great deal over the last 4 years while starting and running a business that allows me to live my purpose. I am exceedingly grateful for my education in management and organizational development as well as the experience I have gained from the businesses I have run in the past, as both provide a solid foundation for my current work. However, this time, I am choosing to share this dance with Spirit in a very active way and it is amazing how walking my talk deepens my experience of life on every level. I have had to use words like faith and guidance a lot and while that is common in my everyday life, it has been interesting in my business life. Assimilating my spiritual world and my business world has been challenging. I think this duality is common in our culture, how we think and behave in our personal life can be quite different from how we think and behave in our business life, and we often don’t even recognize this truth. As I move through the years, I have gained a new level of confidence in myself and my business and that is worth more than gold to me but the process of gaining confidence has been humbling and scary. I am using new muscles, going against business convention, and sometimes even common sense. I am calling this new adventure soulopreneurship. The act of creating a business out of your soul’s purpose. I have my reasons for wanting to conduct business in a different way and watch it grow and thrive without a lot of the practices that made me leave corporate America. I want my business and its practices to reflect my values of service, love, and a heart-centered economy. Throughout this journey, I have watched the patterns develop and lessons have emerged from the chaos. Based on my own experience and those experiences of my friends and clients, these are the 5 lessons for being a soulopreneur. First the practical. Healers, artists, writers, architects, designers, and other soulopreneurs can find themselves in a quandary around money. There can be a struggle to price your services competitively. Perhaps it is because you are used to thinking in terms of an hourly wage, maybe it’s a belief that you are too green to charge much for your service, or maybe you are just so eager to work you are willing to give your product or service away. I was lucky enough to have an innate belief that the work I do is something people pay for because I paid for it as a consumer for many years. However, there are crazy things like self-worth and our ancestral money beliefs that come into play. Money is a volatile topic, it relates to survival, values, and worth. Here is the bottom line: We live in a society that depends on money. Our work has no value when it is given away. Money is energy, work is energy. The exchange of product/service for money is part of what creates its value to others. This is important stuff and if you are challenged around this topic, seek assistance in helping you clear it. Intuitive energy healing can clear the limiting beliefs that hold us back. It takes time to find your voice. Sometimes without noticing, we can begin to take actions and create from a place of fear or habit. We want to make something happen; we want to take action to quiet the voice in our head that is worried about the viability of our business. Unfortunately, this can lead to decisions and actions that weaken our business because it is against our own beliefs and overall intentions. The most important thing to remember is if you aren’t being authentic then you are selling yourself short, literally, your return on investment is much lower when you are working a plan that doesn’t resonate with you at your core. Besides at the end of the day you want to be able to see yourself in your business, this is where you are spending the majority of your time (most likely), make it meaningful. Make it something you are proud of creating. I had a great teacher explain to me the difference between “my will and thy will” and it has been life changing. I reflect on this lesson almost every day because “thy will” is counterculture and learning to embody it requires discipline and faith. I learned as a child that I can force my will upon something and get what I want, I can make something happen. Thy will means I can set my intention and follow the signs from Spirit about the hows and the whens. When I force my will, I often only hold onto my creations for a short time before they slip through my fingers. When I follow the signs, I adjust my goals accordingly, I am building something with a solid foundation that will feed me for a long time. It is part of my path and my individual way of building things. Things may take longer than you would like, at least at first. This is because we are actively realigning our energy to be compatible with our goals and intentions and depending on the goal and our level of compatibility with it, this may require some work on our part to prepare ourselves and our beliefs to hold onto it once we create it. Think about those lottery winners who win millions of dollars and find themselves broke in a year or two. They were not compatible with their creation and it slipped right through their fingers. Save the heartbreak and learn to dance with Spirit instead of achieving from sheer will. The stuff that makes your brand of business good is what you find when you dive into your creativity around your work. You practice so much that you begin to see how you might do it differently from how you were taught. You learn different ways to achieve the same outcome and start to combine techniques into your own personal method. Or perhaps you have several skills or skill sets that are seemingly unrelated until you all of sudden see how to incorporate them into a service or product. This is our creative genius at work. Creativity requires time and a willingness to be vulnerable. It is scary and uncomfortable to open up and take risks, our egos can sometimes resist diving into the unknown depths of our imagination. However, that is where all the good stuff in life lives. Tried and true makes for a boring business, your genius lies in opening up to our creativity and building something personal and unique. Maybe you have experienced this too…there are no paid vacations, health care benefits or regular paychecks in the life of a soulopreneur. Everything is far less predictable or dependable (particularly at first) than that of an employee. This where faith and guidance really play into the work. It is also where we are challenged to understand ourselves in a new way. We are a productivity-obsessed society, we are results junkies. How much money have you earned this month? How many client sessions or products sold? For many, these tallies represent (at least in some way) our self-worth. What are we accomplishing? For some, there may be a period of time that we are doing incredible work but it is inner work and produces very few outward results. This can be troubling to our spouse or our savings account or our credit cards. This inner work is equally important to the outer work, in fact, the outer work is not possible without the inner work (see number 3). In our money-oriented world, there is a tendency to want to give up or quit if making good money takes too long. This is a personal decision for each individual on this journey. These dilemmas are meant to push you to the edge, that is the difference between a traditional start-up and a soul purpose. The spiritual journey is a lot more intense, the lessons are for the soul and highly personal. It is a misnomer to believe that simply discovering your life purpose means that carrying it out will be smooth sailing, the reality is the hard part has just begun. I’ve learned this path is not for everyone but for some there is no other choice. The commitment must be total because challenges are great. Now maybe you are asking, “why do it? This seems like a big headache, I don’t want to be scared and challenged this way.” And again, that is a personal answer and different for everyone. There are times when I wish I was the type of person who could find happiness and fulfillment working for someone else, but I’m not. I have tried and each time I have felt my soul being sucked out of my body. If you are one of those people who are like me and acknowledge that there is no other way, here are the three tools that make this soulopreneur journey possible and rewarding. Meditation – Ground your energy daily, open the communication with your higher self (Source, the Universe, God, Buddha, etc. ), and create the discipline of operating from your own compass. This practice is necessary to keep you from feeling beat up and battered by indecision and fear. It gives you the access to your intuition and allows you to manage the many emotions that will come up during this process. While Napoleon Hill says, think and grow rich, I say, meditate and grow strong. Mentally strong, emotionally strong, and spiritually strong. I love this quote and nothing could be more true. As you walk this path, take advantage of regular energy work. Energy healing is an effective and efficient way to release the patterns in our life that hold us back. These patterns are based on our belief systems and come from our own personal experience in life as well as past life experiences and those of our ancestors. Success depends on moving through these barriers and it will go faster with help from an energy healer. Community – I cannot stress enough how important it is to find fellow travelers on this journey. Our souls require communion and fellowship. Our minds gain so much knowledge by sharing with other soulopreneurs. A community provides support in the form of caring compassion, brilliant ideas, and disciplined accountability. If you are one of the crazy people who simply must live your purpose then I wish you many blessings and I hope these tools and tips serve you well. If you are looking for community. Are you a Spirit-led business owner? Have you decided to pursue your calling? Business ownership is an unanticipated voyage of personal development. The challenges that crop up represent our own insecurities, past struggles, and/or areas for development. Vital Pulse works with business owners at any stage of business. Whether you are just beginning, looking to reinvent your work, or simply looking for clarity and support during the journey. Vital Pulse supports business owners as they pursue their purpose and build a fulfilling and thriving business.